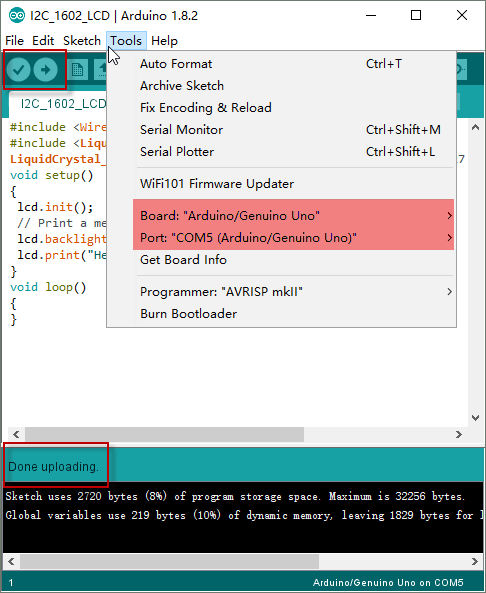 During the building of your projects for Arduino, you’ll often need to read the output data directly from a LCD display. In this lesson we will show how to mount a LCD display on your Arduino using the I2C communication. Finally you will see how to program it with a simple example showing how to display text on the display. The integration of an LCD display greatly facilitates the interactivity of the project you are developing, allowing the user to directly read some output parameters. These values can be either a simple text or numerical values read by the sensors, such as temperature or pressure, or even the number of cycles that the Arduino is performing. However, these displays have a small problem. When they are connected to a microcontroller (such as Arduino for example), these displays require virtually many connection PINs occupying practically almost all available IO and leaving the multiprocessor few outputs for any other devices and sensors. This problem has been solved thanks to the communication on the I2C bus. 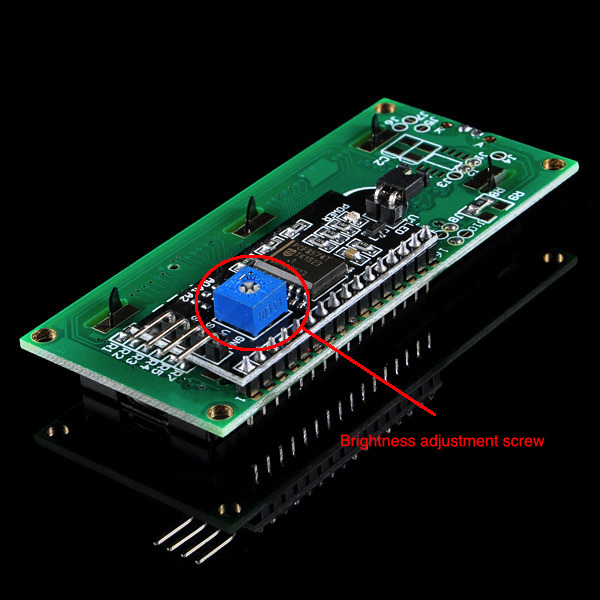 The LCD1602 display has an integrated microchip that manages this type of communication, and then all of the input and output information are limited to only two PINs (excluding power supply). I2C is a type of serial bus developed by Philips, which uses two bidirectional lines, called SDA (Serial Data Line) and SCL (Serial Clock Line). Both must be connected via pulled-up resistors. The usage voltages are standard as 5V and 3.3V. 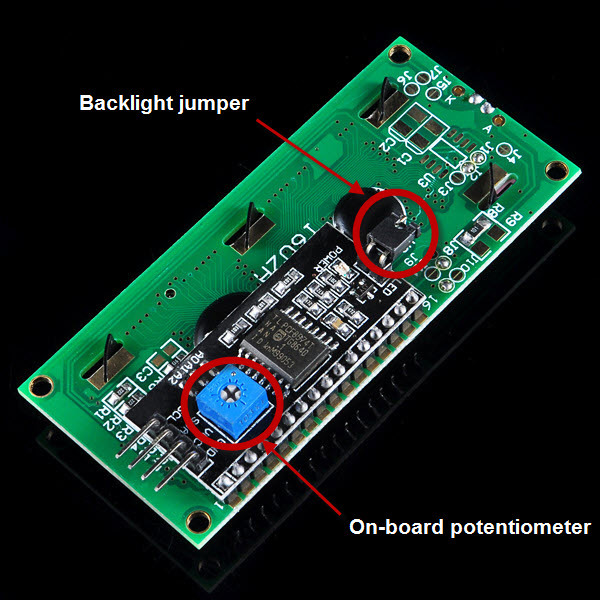 The blue potentiometer on the I2C LCD1602 (see the figure below) is used to adjust the backlight for better display.And there is a jumper on the board, if you take away this jumper , the backlight will aways be off. For the usagage of other functions, pleae refer to the “LiquidCrystal_I2C.h” in the sourcecode of I2C LCD library. Write down the Address that you have found, you’ll need it in the next step. To use the I2C protocol with an LCD display and Arduino, there is a special library to be downloaded and included in the code. The name of this library is Liquid Crystal I2C. 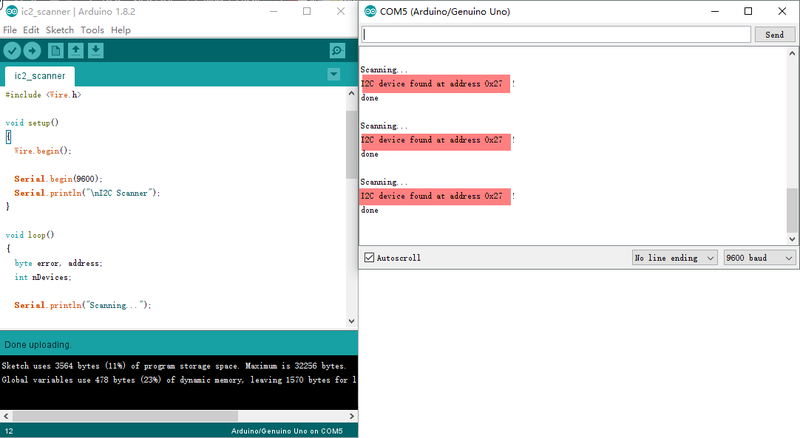 Download the library, a zip file (you can download it from here) and extract the contents in the libraries folder of the Arduino IDE. 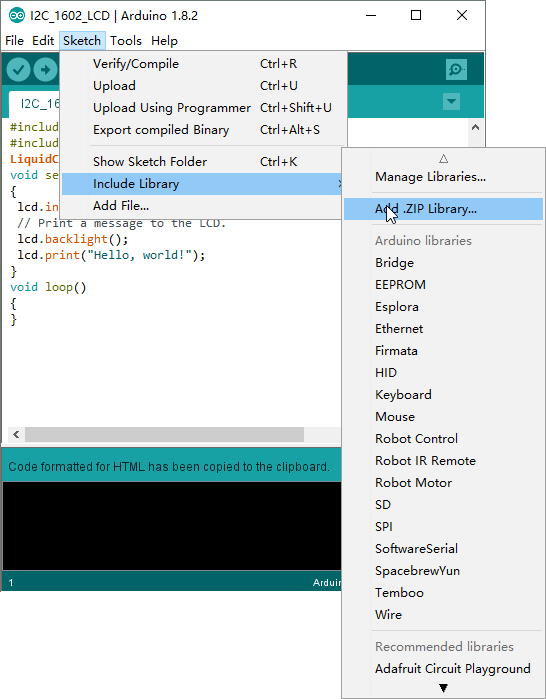 You can do directly from the Arduino IDE, select Sketch > include Library > Add .ZIP library from the menu. 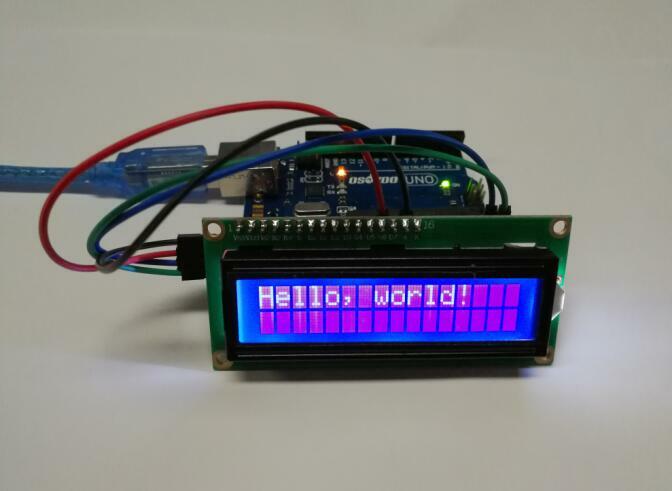 A few seconds after the upload finishes, you should now see your I2C LCD1602 display the static characters: “Hello, World!”. In this experiment, the sketch will make a connection between Arduino and I2C LCD display and then print a text on two lines. The first line will display “Hello all !” and second the “Welcome to www.osoyoo.com !” message.The circuit and the board / port type settings are same as above example. Compile and upload this sketch to the Osoyoo UNO board, you should now see your I2C LCD1602 display the flowing characters: “Hello all !” and “Welcome to www.osoyoo.com”. loving these lessons. well designed, but not as informative in the sketches as I had hoped. When I try to change the array1 to a longer message (about 40 characters), it only does the first 24 on the first line, the rest is on the second. Is this something I am doing wrong or a limitation to the I2C protocol? (ie. 16 characters on screen, and another 8 in memory?). adjusted both code samples to include a banner visible via the serial monitor and to blink the backlight in a loop. both to make the examples a bit more dynamic for the case where the LCD darkness is not adjusted well and text cannot be seen — blinking and banner proves code is running even if text is invisible. *Arduino and I2C LCD display and then print a text on two lines. *“Welcome to http://www.osoyoo.com !” message. *In this sketch, we will show how to find the I2C address for the I2C device.